Hello! Today I thought I'd share my Disney mug collection. I love stalking the #DisneyMugs tag on Instagram to find some more cute mugs to add to my wishlist so I thought I'd share mine too! 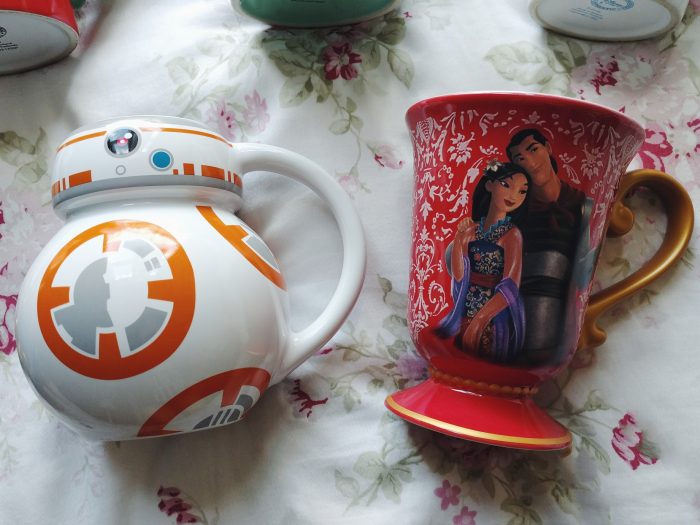 Speaking of the Disney Store's sales, both of these resulted from one! 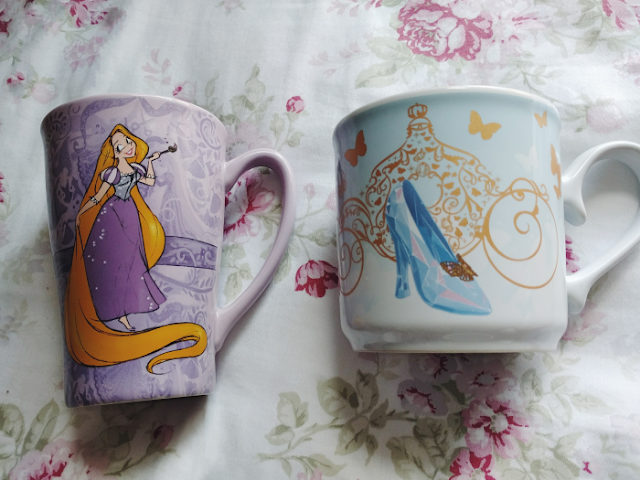 I'd been after a Rapunzel mug for a while so I couldn't resist this gorgeous sketch design one, especially for the price it was - I think I only paid something crazy like £3 for it! I am in love with the artwork on this Alice In Wonderland mug! It features some of the characters that you wouldn't usually see on merchandise such at the Walrus and the Carpenter which makes it extra special. Plus it's one of the very few mugs from my collection that is actually microwave and dishwasher safe so I get a lot of use out of it, haha! How pretty is this Mulan mug? I love the image they chose for it, the cherry blossom is so gorgeous. 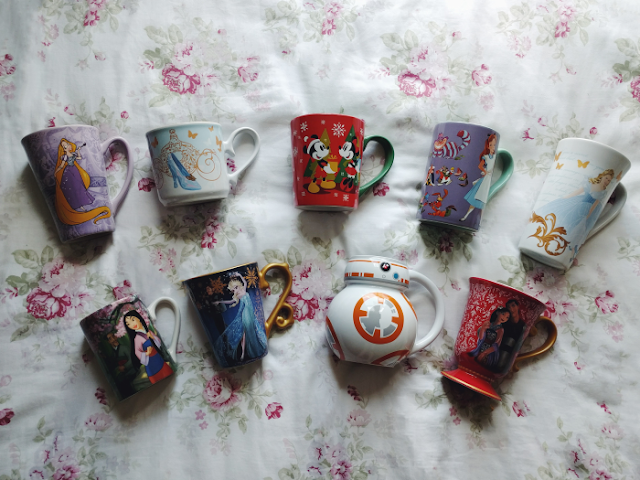 Next on my mug wishlist is the Tangled one from this collection as it features the lantern scene *heart eyes*. OBVIOUSLY I bought this BB-8 mug as soon as it hit the Disney Store website because BB-gr8 (dad joke alert). 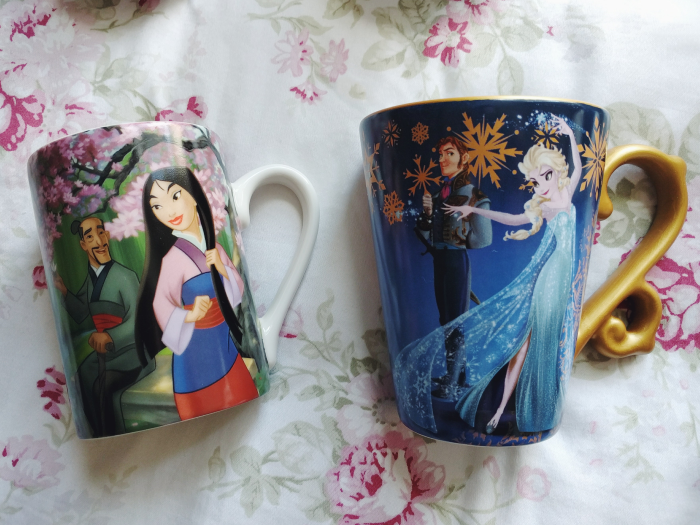 Unfortunately I believe this Mulan and Shang mug was only ever sold in the US but luckily one cropped up on a UK Disney merchandise Facebook group a while ago! Look at how adorabble Shang is resting his face on Mulan. I CANNOT HANDLE THE CUTENESS. Sadly most of these mugs are older pieces of merchandise so if you'd like to track these down for your own collection, your best bet would probably be eBay. However at the time of writing this the Alice In Wonderland and BB-8 mugs are still available on the UK Disney Store's website so you can still snap them up for yourself! 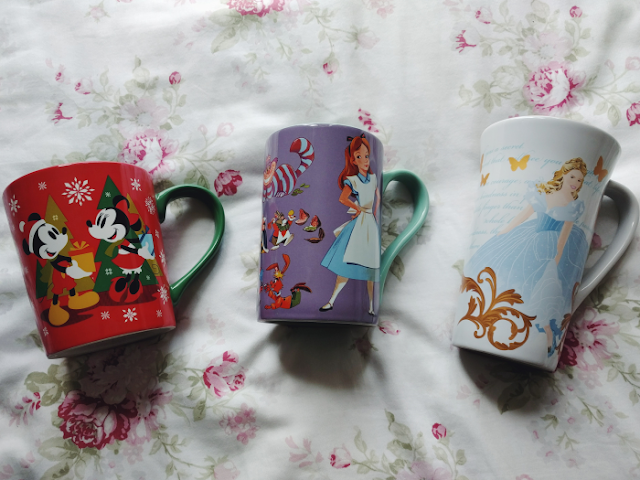 Two things I absolutely love are Disney and mugs! 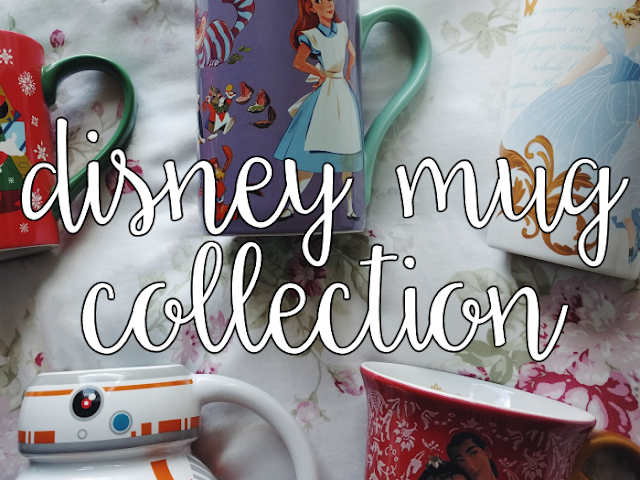 I've already got quite the collection myself and have made the decision that when I have a house of my own, I will only have Disney mugs! It will take some collecting but it will be so fun! I love your collection. You have inspired me to do my own :D When they are all unpacked haha!